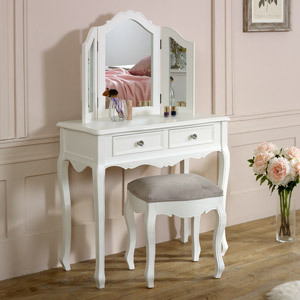 White satin painted 2 drawer dressing table with tabletop vanity mirror. 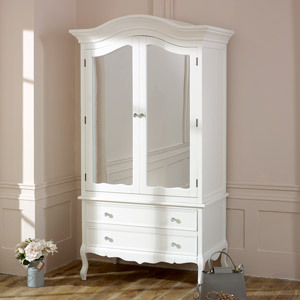 Vintage, French & shabby chic inspired bedroom furniture. Beautifully designed with carved features and crystal handles for a luxurious, glam look. 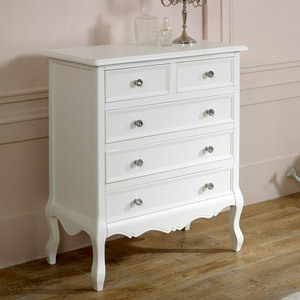 The Victoria Range comes with matching bedroom furniture. 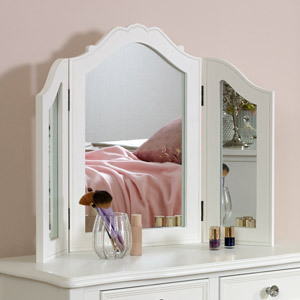 This dressing table is simply stunning, 2 drawer storage with a pretty triple design vanity mirror. 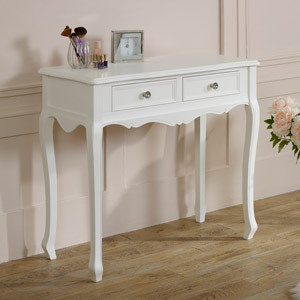 White satin painted 2 drawer dressing table with tabletop vanity mirror. 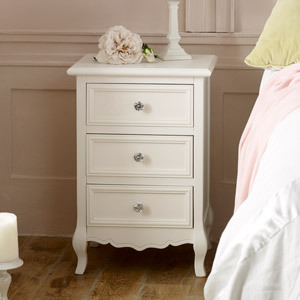 Vintage, French & shabby chic inspired bedroom furniture. Beautifully designed with carved features and crystal handles for a luxurious, glam look. 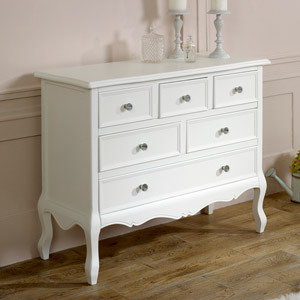 The Victoria Range comes with matching bedroom furniture. 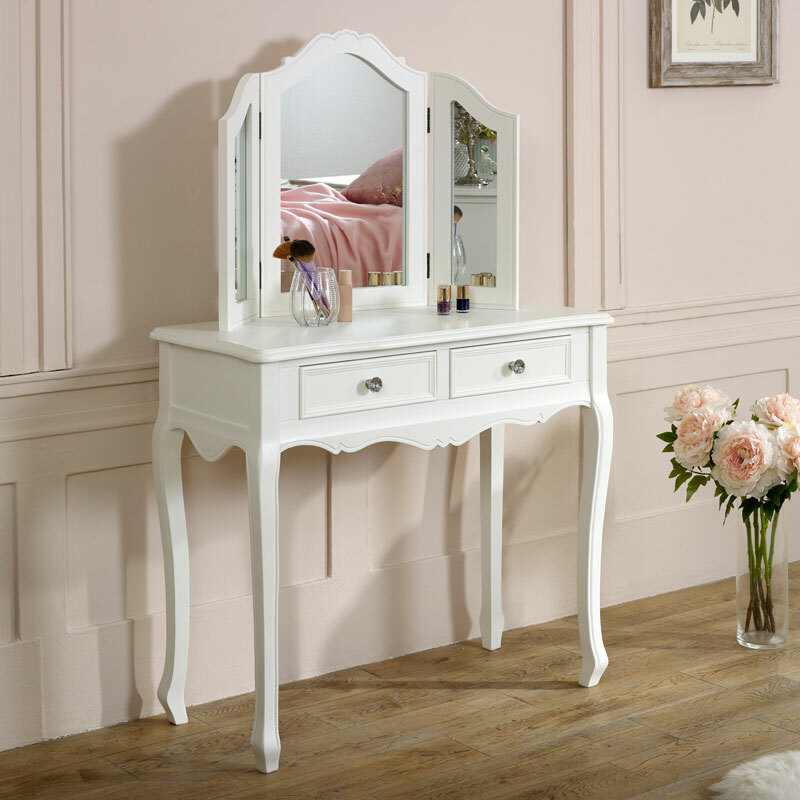 This dressing table is simply stunning, 2 drawer storage with a pretty triple design vanity mirror. 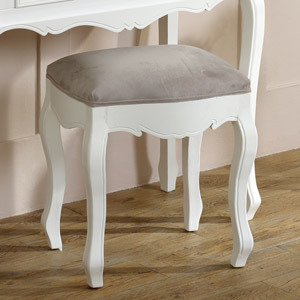 Made from wood and painted in a white satin finish. There is minimal assembly required on the table with just legs to attach, quick and easy to do (fixings included), the mirror comes fully assembled.